This is a best useful accessory with any lift and transfer. Use this wheelchair transfer can make the patient in the right position very easy. 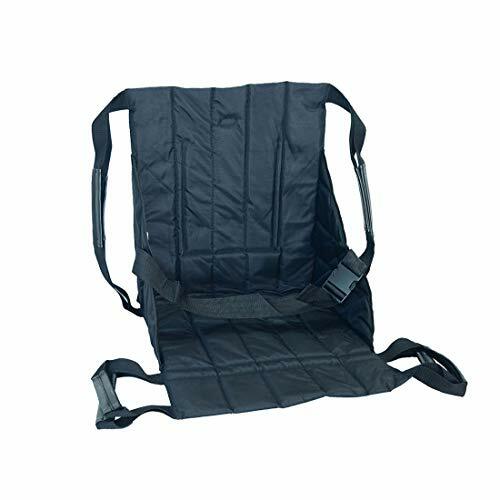 4-handles sling facilitate patient transfer,lifting and positioning while reducing exposure to back injury. Supports up to 220 lbs and will allow up to three caregivers to assist.MACHINE WASHABLE. Not just a simple Wheelchair Transfer Seat Pad! This Wheelchair Transfer Seat could works more than simply transferring. Total affordable weight of the item is 220 Pound. One Transfer belt lift pad can multiple usage! Suitable for the following situations: Turning over, moving from one bed to another, holding the disabled to go upstairs or downstairs, Shifting the patients get into or off the cars and ect. 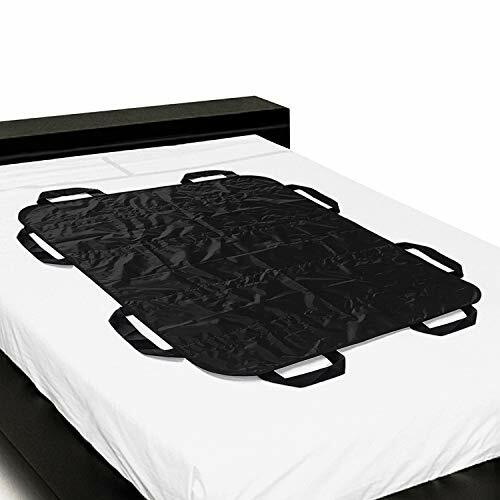 Medical Transport,Healthcare Bed Transferring,Daily Living and Home Care Mobility Devices, With items storing pockets design, the wheelchair transfer seat could used to collect items as well. Extra fixed band to tighten the waist and thigh to hold the patient safe. 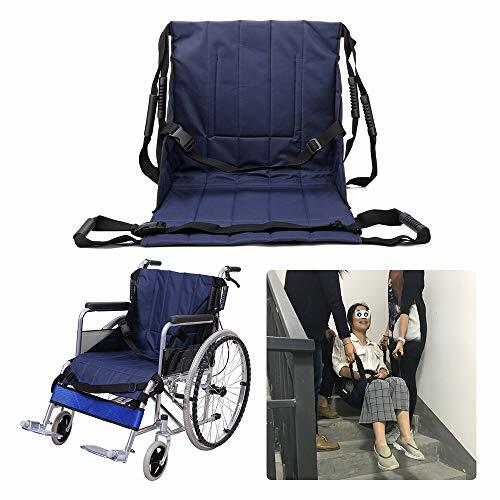 Suitable for people as follows: Wheelchair Users Bariatric Patient Bedridden patients Disabled, Handicap lower limb fracture patients elderly people with poor ability to walk and ect. NOTE: 1, Two or three caregivers are needed to move the patient, only one caregiver can not move the patient. 2, Not lay flat,use for up and down wheelchair or lift stairs. Tip: We found that there are the same products as ours in the market, but they are not genuine NEPPT brand products. Please be careful to purchase them. 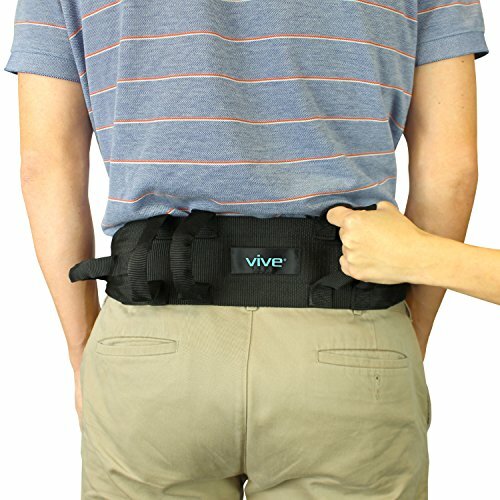 Transfer Belt by ViveThe transfer Belt allows you to easily ambulate patients. The quick release latch makes it easy to put on and remove the belt. The tough metal locking teeth keep the belt securely in place to create a strong hold for added safety. The durable metal buckle is strong enough to handle bariatric patients. Product Features: Hand LoopsEasy to AmbulateQuick Release LatchLocking TeethAll Metal BuckleStrong Grab HandlesLength: 55 InchesLocking Teeth:The teeth on the metal buckle creates a strong hold and will not let go until the release latch is lifted.Strong Metal Buckle:Durable metal buckle for bariatrics . Hand Loops:Grab handles provide extra support for added safety while lifting. 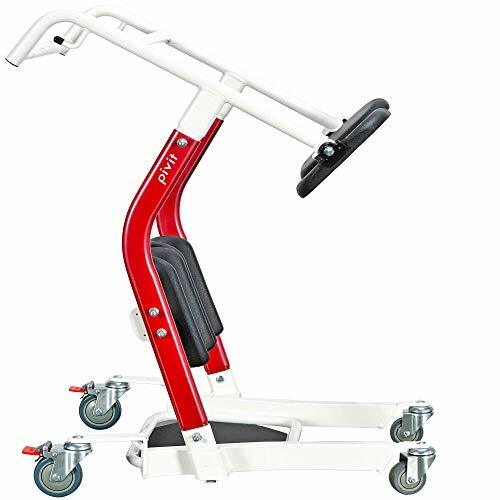 Easy Ambulation:Makes transferring patients from beds, chairs and wheelchairs simple. Great for home or hospital use. 60 Day Guarantee:Backed by a Vive Health 60 day unconditional guarantee. 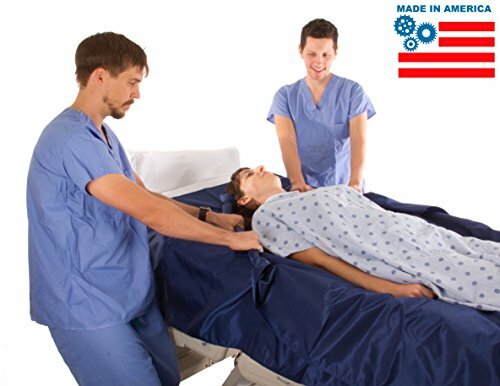 Order now with confidence..
Smart Slide Sheets are designed to reduce the effort required to move, turn or transfer a patient. Slide Sheet procedures vary based on the patient's needs and the patient's ability to assist with mobilization. A single Slide Sheet is used when the patient is able to assist with mobility tasks by pulling or pushing with their arms, bending and pushing with their legs, or maybe just for a little boost. 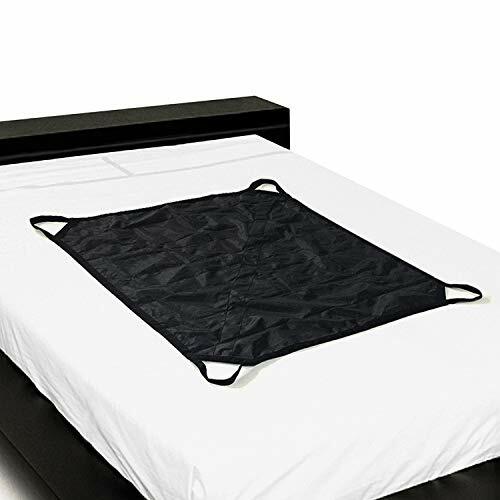 Two Slide Sheets are recommended when the patient is primarily bed bound and not able to assist with mobility tasks or self-care. Smart Slide Sheets are placed under the patient to assist with mobility tasks and transfers. Once the task is completed, the Slide Sheets are removed and stowed for safety. Slide Sheets are never left under an unattended patient. Pinstripe Gait Belt, Patient Transfer & Walking Gait Belt, 72"
SafetySure Pinstripe Patient Transfer & Walking Gait Belt w/ Plastic Buckle 54"
Want more Patient Transfer similar ideas? Try to explore these searches: Engraved Stainless Steel Medal, Type 250 Photoconductor, and 00e Wall Plate.